What a beautiful game! 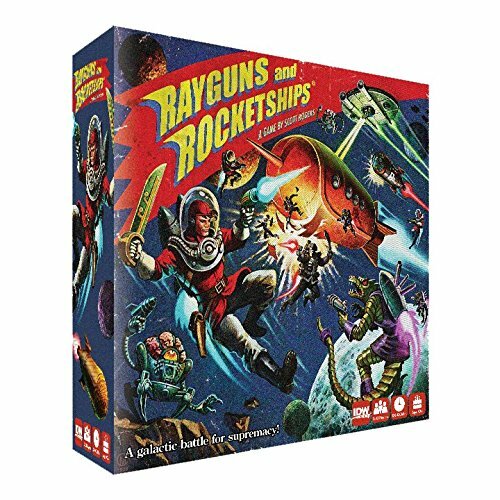 From the box art to the playing boards, even the the cards and tokens, Rayguns and Rocketships from IDW Games is fantastically illustrated with a retro sci-fi style. 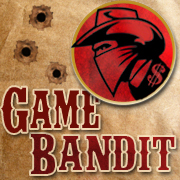 Four factions are included in the game: the Astro-Rangers, the Star-Pirates, the Zard, and the Blaarg. 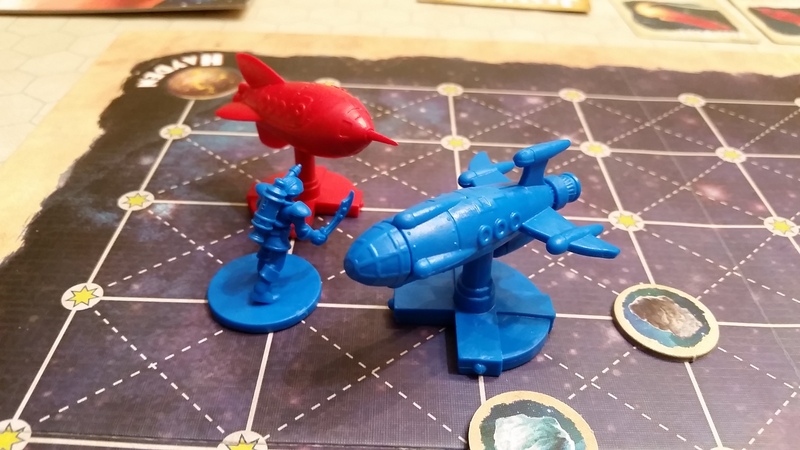 Each has its own set of crew, captain, and rocketship miniatures with a unique look. That Blaarg flying saucer with its tail-fins! 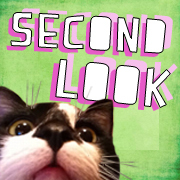 The basic outline of gameplay also has a lot going for it. 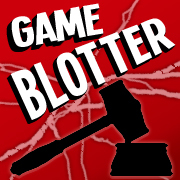 Players get to maneuver the rocketships around obstacles in space, shooting rayguns at each other and launching crew through the ether on boarding actions. 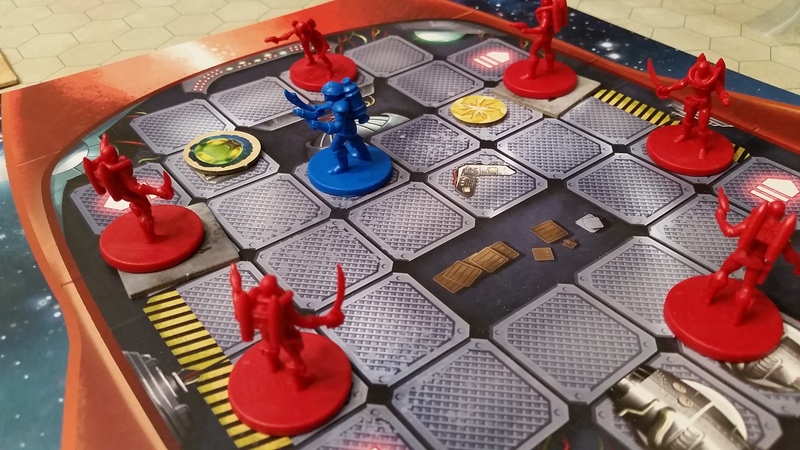 In addition to a star map for the ships and flying crew (with individual rocket-packs), the game has separate rocketship map boards where the players can move their crew to perform specialized actions—for example, placing a crew member on an engine space gives the ship an extra move on the space map. And to accomplish all this, the players program a selection of command cards at the start of each round, then hope enemy ships stay within range of their mounted raygun ports. 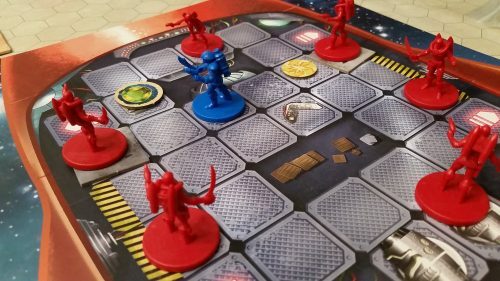 Unfortunately, the game’s fantastic theme and graphic presentation aren’t enough to overcome a lousy rulebook, even for this die-hard science fiction fan. It’s shortcomings include poor organization, inconsistent terminology, and vague instructions. 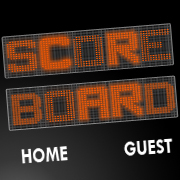 Completing a game took guesswork, including about the victory conditions for a scenario. I may keep the figures to display on my shelf but I won’t be playing Rayguns and Rocketships again. 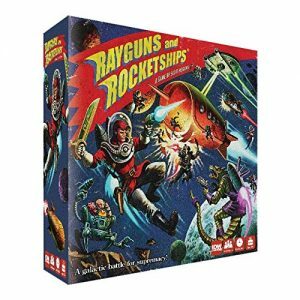 A complimentary copy of Rayguns and Rocketships was provided by IDW Games for review.